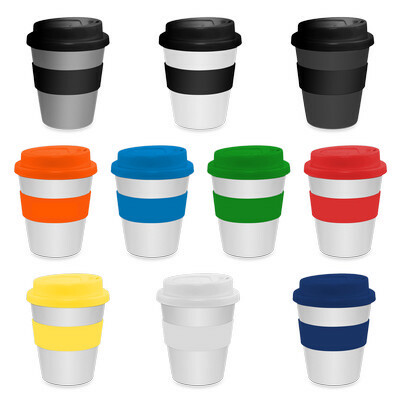 Features: This reusable coffee cup has a capacity of 355ml. The lids are availablein several colours including Blue, Yellow, Red, White, Black, Grey, Purple, Orange and Green. Price includes : 1 COLOUR 1 POSITION PRINT. Setup is included.